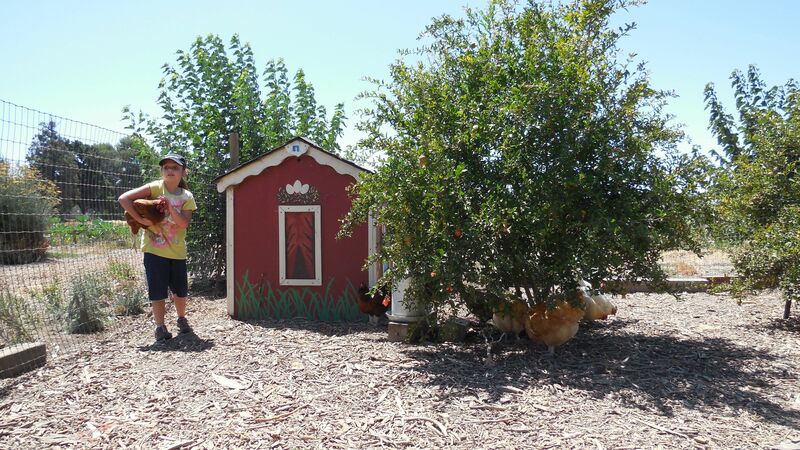 Our coop is a joyous place for chickens to come and lounge under the pomegranete trees on a sunny day. The view is magnificent – a wide expanse of gorgeous flowers and delectable vegetables. Come and relax with the chickens and then wander around our beautiful farm. And this year we also have turkeys! Melissa Patel is our Mother Hen. This was her idea and she made it happen. 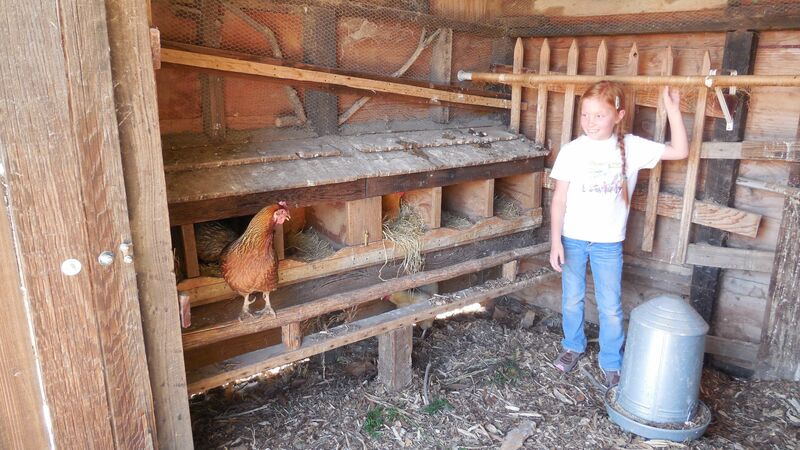 She knew there just had to be a place for happy chickens at Full Circle Farm Sunnyvale. 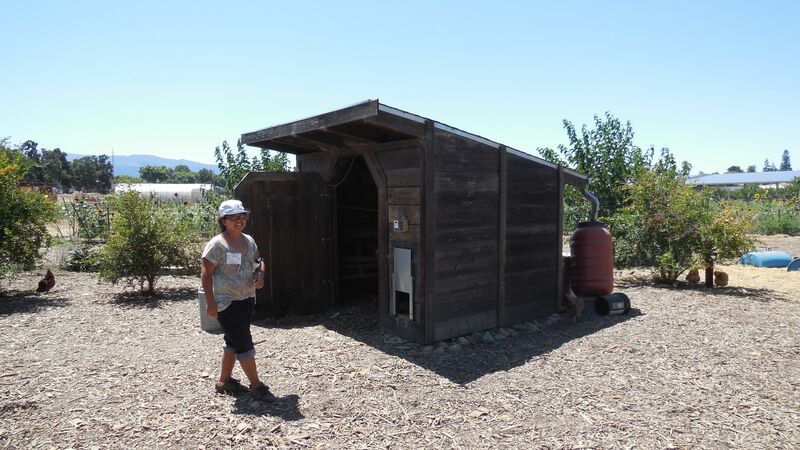 She uses this coop as an example of best practices, and teaches other folks in Silicon Valley the importance of happy chickens – and how to make yours happy. 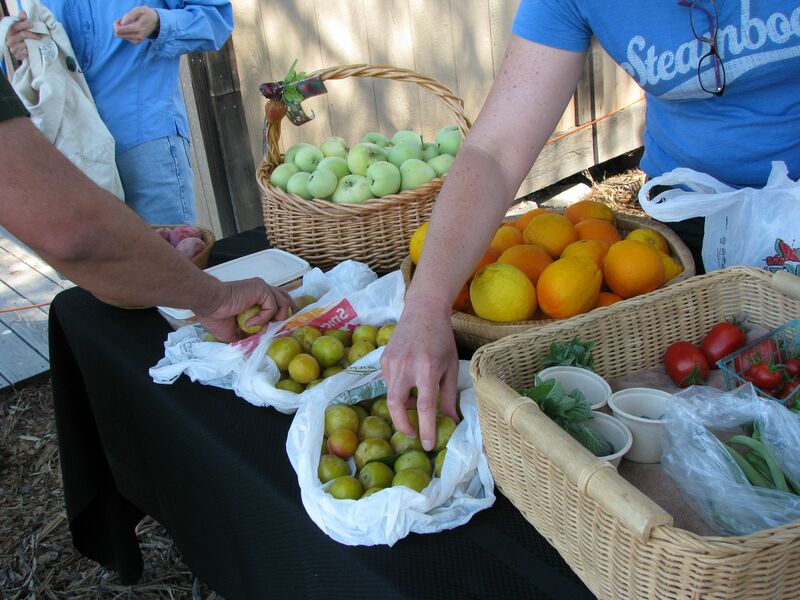 We will be serving cucumber water, and are setting up a garden share table (with donations from neighborhood gardens) for visitors to take veggies home for free!